In August of 2014, a seldom seen in North America non-polio enterovirus D-68 (EV-D68) appeared in America’s Midwest and quickly spread across the nation, causing a wide spectrum of respiratory illness, predominantly in young children and adolescents (see Kansas City Outbreak Identified As HEV 68). In September the CDC issued a HAN: Acute Neurologic Illness with Focal Limb Weakness of Unknown Etiology in Children, alerting doctors around the country to be aware of this trend, and providing information on reporting cases. While there is a high degree of suspicion that the recent EV-D68 outbreak and the rise in paralytic cases are related, a causal link has not been established. From mid-August to November 5, 2014, CDC or state public health laboratories have confirmed a total of 1,112 people in 47 states and the District of Columbia with respiratory illness caused by EV-D68. As of October 29, CDC has verified reports of 64 cases in 28 states that meet our case definition below. We are working with healthcare professionals and state and local officials to investigate all of these cases. We are also in the process of verifying about half a dozen additional reports. These investigations take time. Therefore, the number of cases will likely increase further as we update these numbers weekly on Thursday, but the increase will not necessarily reflect changes in occurrence of cases in real time. While it doesn’t prove causality, today the ECDC’s Eurosurveillance Journal carries a report of France’s first EV-D68 case with Acute Flaccid Paralysis (AFP). Human enterovirus D68 (EV-D68) is known to be associated with mild to severe respiratory infections. Recent reports in the United States and Canada of acute flaccid paralysis (AFP) in children with detection of EV-D68 in respiratory samples have raised concerns about the aetiological role of this EV type in severe neurological disease. This case study is the first report of AFP following EV-D68 infection in Europe. We report the first case of acute flaccid paralysis (AFP) following enterovirus-D68 (EV-D68) infection in Europe. The United States (US) and Canada are currently experiencing nationwide outbreaks of EV-D68 infections associated with severe respiratory diseases especially in children with underlying respiratory disease that began in mid-August 2014 [1,2]. Concomitantly, clusters of neurological illness characterised by AFP with anterior myelitis have been reported in the US and Canada [3,4]. The detection of EV-D68 in nasopharyngeal specimens of some affected children raises the question of a possible link between EV-D68 infections and severe neurological disease. While EV-D68 has to date been almost exclusively associated with respiratory diseases, investigations are currently underway to determine its role in the acute neurological illnesses that have been reported in children in the US  and in Canada  since August 2014. Nine EV-D68-associated deaths are currently being investigated at the US Centers for Disease Control and Prevention (CDC) to confirm or refute EV-D68 as the cause of death ; as of 5 November, no information has been released about the death’s preceding symptoms. The case reported here meets the definition given by CDC to identify similar neurological manifestations characterised by acute onset of focal limb weakness occurring on or after 1 August 2014 and MRI showing a spinal cord lesion largely restricted to grey matter . Common features with the cases reported in the US include (i) respiratory illness preceding development of neurological symptoms, (ii) a local epidemiological context of EV-D68 detection among children admitted to hospital for respiratory infections leading to asthma crisis (data not shown) and (iii) EV-D68 detection in respiratory samples. By contrast, to our knowledge, neither meningeal syndrome nor myocarditis and acute respiratory distress syndrome had been reported in the days preceding the onset of paralysis in the US patients. The enterovirus genome was not detected in the CSF of this patient and we cannot assert that EV-D68 was associated with meningitis. There are two case reports in the literature of EV-D68 infection associated with severe neurological disease as evidenced by detection in the CSF [17,18]. 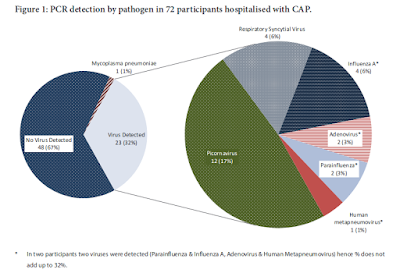 As in recent reports, the significance of EV-D68 association with AFP is hampered by the fact that it was only detected in respiratory or stool samples, in which enteroviruses can be detected many weeks after infection. However, the absence of detection in CSF does not necessarily rule out this possibility since poliovirus and EV-A71, two recognised neurotropic EVs, are not frequently recovered . Further physiopathological studies may be needed to assess the neurotropism of EV-D68. There are increasingly numerous reports of polio-like illnesses in the US (64 cases as of 30 October 2014) . Surveillance of AFP cases has already been implemented as a measure in the global initiative to eradicate poliomyelitis and should allow rapid identification of similar neurological manifestations in association with EV-D68 infection . However, determination of AFP aetiologies can be challenging, because of the absence of pathogen detection in the CSF. Investigation of AFP cases should include both EV screening of two stool samples collected ≥ 24 hours apart and < 14 days after symptom onset  and early and quick testing of diverse samples, especially upper respiratory samples, for infectious agents including EVs, to increase the chance to identify a pathogen. In the case of EV-D68 infections, the detection capabilities of the EV-D68 genome of commercial and in-house molecular methods should be assessed. While our experience with EV-D68 goes back 50 years, the number of outbreaks that have been studied has been small. Testing has been difficult and time consuming, and treatment for EV-D68 is no different than for any other viral respiratory illness. Therefore, we don’t really know as much about this virus as we’d like. Other non-polio enteroviruses have a better documented track record for causing neurological complications, such as EV-71. In recent years, EV-71 has been linked to a number of clusters of AFP around the globe, particularly in Asia, Australia, and the Pacific (see Australia: Acute Flaccid Paralysis & EV71). For now, the investigation into this rash of unexplained paralysis remains unresolved.